Top Universities in Switzerland 2019 – Switzerland, a top tourist destination is also emerging as a top study destination for students from the world over. Top universities in Switzerland has been sought after by international aspirants to pursue higher education. 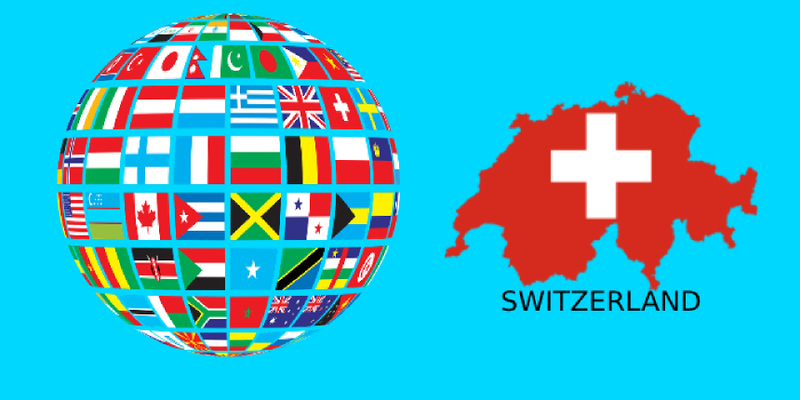 International students from all over the world yearn to pursue a wide variety of courses and study in Switzerland. The 10 higher education institutions in Switzerland offer a variety of courses which rank among the top 20 in subject ranking in the world. ETH Zurich which ranks seventh in the top universities in the world 2019 is the topmost institution offering courses in Earth and Marine Sciences. The university is also among the the top 10 in Architecture, Engineering and technology, Environmental studies, Natural Sciences, Mathematics as well as Physics and Astronomy. The swiss universities have an advantage over other European universities in the language area. The country has four official languages - German, French, Italian and Romansh which makes it the centre of European life. Switzerland is increasingly introducing English language programmes to its curriculum and therefore emerging as a hot study abroad destination. Switzerland has maintained its previous numbers in the top universities in the world. A total of 9 universities are ranked in the QS world ranking 2019 , 10 in the THE ranking tables 2019 and 8 in the ARWU ranking 2019. In terms of its performance in the World University Rankings 2019, eight universities of Switzerland have made it to the top 500 of the world universities ranking. According to the QS and THE ranking 2019, 3 swiss universities rank among the 100 top universities in the world. ARWU 2019 ranks 4 swiss universities in the top 100 and a total of 8 universities. The ranking of ETH Zurich - Swiss Federal Institute of Technology has improved in the QS ranking and remained the same in ARWU ranking as compared to previous year. The institution has however not retained its previous position in the THE ranking. The top Universities in Switzerland 2018, ETH Zurich - Swiss Federal Institute of Technology, EPFL - Ecole Polytechnique Federale de Lausanne, and University of Zurich remain the top universities 2019 in Switzerland as well. This was the fourth consecutive time. These were the three top universities in Switzerland in 2017 and 2016 as well. According to the ARWU ranking tables, along with ETH Zurich - Swiss Federal Institute of Technology, EPFL - Ecole Polytechnique Federale de Lausanne, and University of Zurich, University of Basel also features among the top 100 in the world. However, in ARWU ranking of 2017, University of Goettingen featured as the 4th top university in the world. In all the three rankings, ETH Zurich - Swiss Federal Institute of Technology and EPFL - Ecole Polytechnique Federale de Lausanne emerge as the two top universities in Switzerland. A list of top universities in Switzerland according to the three major ranking engines is compiled below.